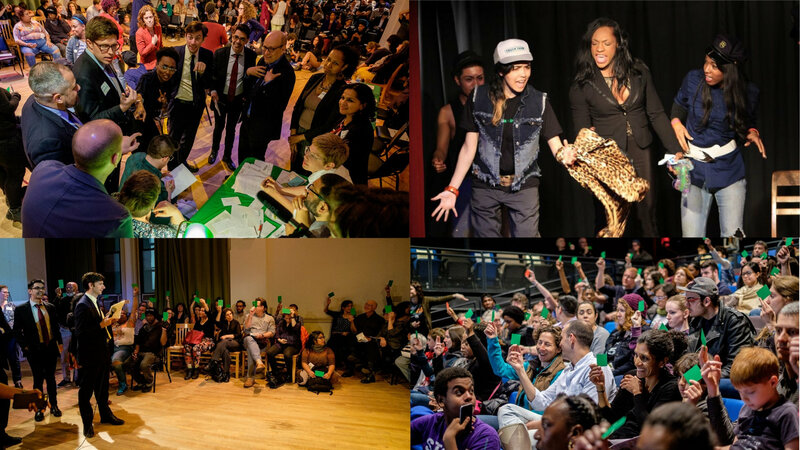 JH Public Art hosted its second Moonshot 5×5 event at the Center for the Arts where seven presenters pitched ambitious public art ideas. The audience listened to a range of creative concepts that stretched the boundaries of what is possible and encouraged everyone to engage their “what if…” mindset. Thank you to all the presenters and audience members who participated and if you missed the event, here is a brief summary of the concepts presented at the Moonshot 5×5. 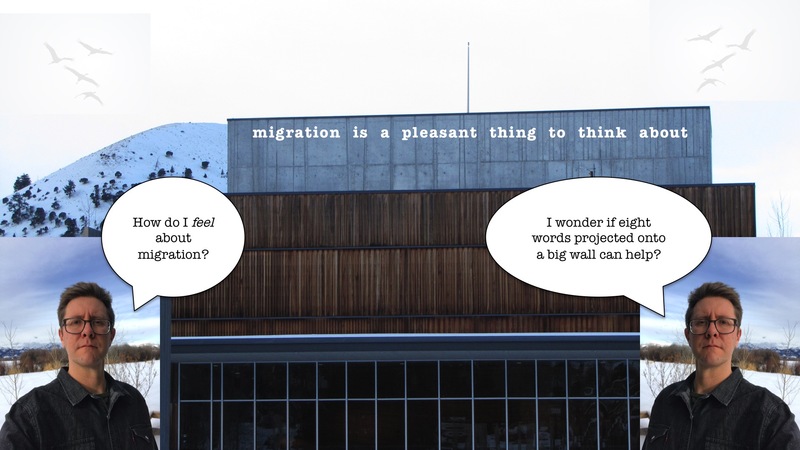 Matt Daly discussed using the south side of the fly tower at the Center for the Arts as a publishing site for the phrase “migration is a pleasant thing to think about.” The impact of the project is to take the conversation about migration, whether human or animal and to recast the subject as an aspect of living on a planet that can be enjoyed and celebrated. Frances Ritchie proposed curating a sense of curiosity and wonder through mixed media art boxes scattered through the local Jackson area highlighting Jackson’s own unique natural and human history. The installations will be 10-15 small “cabinets of curiosity” and in each small box would be a mixed media curation of paintings, collections, and objects that relate to the story of the Jackson community. For example, one box might depict the migratory cycle of a Cecropia silkmoth native to the area displayed through clay figurines and illustration. Fernando Jáuregui looked at the Town Square and re-envisioned it as an expanded place to inspire youthful play and social engagement. 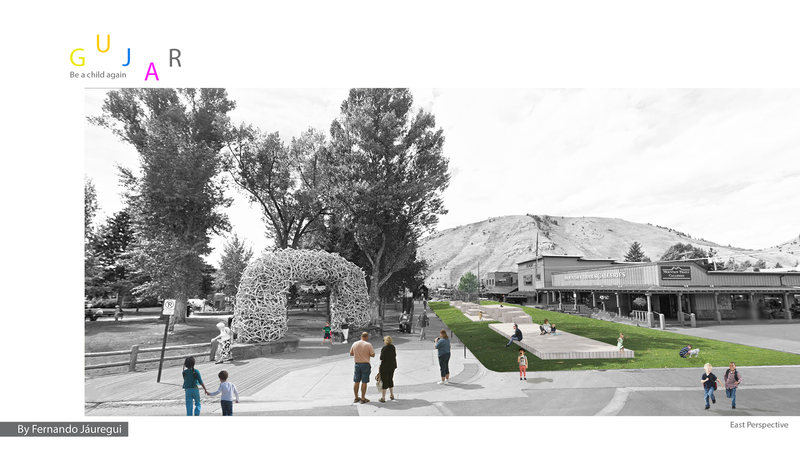 His design replaced a trafficked street with grass and a multi-tiered wood seating. County Commissioner Natalia Macker is an artist and local representative who is passionate about using arts to better inform policy and community development. Her moonshot proposal was to launch a Legislative Theatre Festival in Wyoming. This would provide an opportunity for public policy to be crafted with the public using community members as the performers in telling their stories. Corey Milligan proposed a giant mural that depicts iconic characters of Jackson Hole’s history. Using examples of Diego Rivera’s murals, Corey inspired the audience with the idea of a mural that can be inspirational as well as educational. A shortlist of characters he suggested: Native Americans from the area, Davey Jackson, the all-women Town Council, Jerry Spence, Clarene Law, and Travis Rice. Jenny Dowd believes in the magic of vending machines. She proposed a cloud factory vending machine created out of a large cardboard box. Positioned on a city street, Jenny would wait inside the box until someone inserted a cloud factory coin for a cloud on a stick or a cloud on a string. She would dispense handmade clouds to the delight of the cloud factory patron. 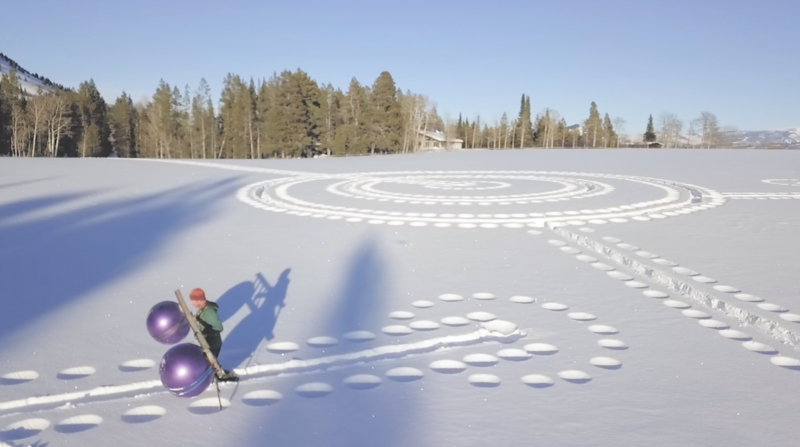 Bland Hoke revealed his real-life use of yoga balls attached to a ladder as a tool to create crop circles in the snow. Inspired by the work of Simon Beck, Bland encouraged the audience to envision the magic of large designs patterned into the snow. The goal of the 5×5 is to give artists a platform to announce their ideas to the world. Each idea generated a buzz of excitement. As your community public art program, we invite you to join in the public art process. Share your moonshot with us, or contact JH Public Art if you would like to help make one of these moonshots a reality. Thank you to Genevieve Catering nibbles & Jackson Hole Still Works for specialty cocktails. Thank you to our event sponsors Des Jennings and the McPeak Group.